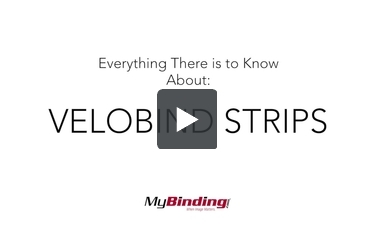 These high quality Dark Gray Velobind compatible binding strips are specifically designed for use with your GBC Velobind Hot Knife Binding system. Show your best with this professional, book like finish. Documents bound with a Velobind Hot Knife Binding System are great for filing, stacking and mailing. With GBC's patented Hot Knife binding technology, these dark gray spines permanently lock pages into place to keep reports and proposals secure. These Dark Gray Velobind compatible Binding Strips are designed for use with GBC's line of Hot Knife Velobind Systems including the GBC V800pro, GBC Velobind System Two, GBC Velobind System Three Pro and GBC Velobind System Four "Bind".